Holidaymakers will be able to spend more time on the tropical island of Mauritius after British Airways made changes to its flight route to the popular holiday destination. People visiting the luxury hotspot will benefit from additional time on the island from November 1 when the airline will put back return journeys by 12 hours. But no amount of extra time spent on the Indian Ocean island will be able to compensate for a ruined holiday if travellers fall victim to a mishap without arranging comprehensive travel insurance cover. The changes will mean that evening departures for both outbound and inbound services will take place in the evening. 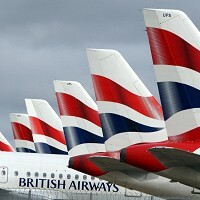 British Airways said that the move, which coincides with the route being changed from London Heathrow to Gatwick, has been made to help its customers make the most of their time abroad. Silla Maizey, British Airways director of Gatwick operations, said: "We have a strong premium leisure strategy for Gatwick - we want it to be a hub for great high-end holiday destinations.